THE PERSONALITY OF GOD: (Vs. Pantheism). Pantheism maintains that this universe in its ever changing conditions is but the manifestation of the one ever changing universal substance which is God; thus all, everything is God, and God is everything; God is all, all is God. Thus God is identified with nature and not held to be independent of and separate from it. God is, therefore, a necessary but an unconscious force working in the world. The Bearing of the Personality of God on the Idea of Religion. True religion may be defined as the communion between two persons: God and man. Religion is a personal relationship between God in heaven, and man on the earth. If God were not a person there could be no communion; if both God and man were one there could be no communion, and, consequently, no religion. An independent personal relationship on both sides is absolutely necessary to communion. Man can have no communion with an influence, a force, an impersonal something; nor can an influence have any moving or affection towards man. It is absolutely necessary to the true definition of religion that both God and man be persons. God is person, not force or influence. Personality exists where there is intelligence, mind, will, reason, individuality, self-consciousness, and self-determination. There must be not mere consciousness--for the beast has that--but self-consciousness. Nor is personality determination--for the beast has this, too, even though this determination be the result of influences from without--but self-determination, the power by which man from an act of his own free will determines his acts from within. Neither corporeity nor substance, as we understand these words, are necessarily, if at all, involved in personality. There may be true personality without either or both of these. b) Scripture Teaching on the Personality of God. Jehovah-Jireh: The Lord will provide (Gen. 22:13, 14). Jehovah-Rapha: The Lord that healeth (Exod. 15:26). Jehovah-Nissi: The Lord our Banner (Exod. 17:8-15). Jehovah-Shalom: The Lord our Peace (Judges 6:24). Jehovah-Ra-ah: The Lord my Shepherd (Psa. 23:1). Jehovah-Tsidkenu: The Lord our Righteousness (Jer. 23:6). Jehovah-Shammah: The Lord is present (Ezek. 48:35). Moreover, the personal pronouns ascribed to God prove personality: John 17:3, et al. 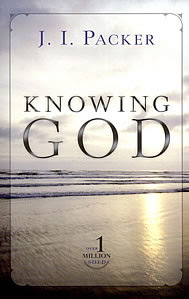 “To know thee”--we cannot know an influence in the sense in which the word know is here used. Statement: All through the Scriptures names and personal pronouns are ascribed to God which undeniably prove that God is a Person. (2) A sharp distinction is drawn in the Scriptures between the gods of heathen and the Lord God of Israel (See Jer. 10:10-16). Note the context: vv. 3-9: Idols are things, not persons; they cannot walk, speak, do good or evil. God is wiser than the men who made these idols; if the idol-makers are persons, much more is God. See the sharp contrast drawn between dead idols and the living, personal, true and only God: Acts 14:15; 1 Thess. 1:9; Psa. 94:9, 10. Statement: God is to be clearly distinguished from things which have no life; he is a living Person. 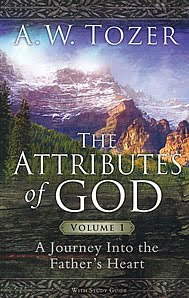 (3) Attributes of personality are ascribed to God in the Scriptures. God repents (Gen. 6:6); grieves (Gen 6:6); is angry (1 Kings 11:9); is jealous (Deut. 6:15); loves (Rev. 3:19); hates (Prov. 6:16). “All the names given to God in the Scripture denote personality.” For example, Jehovah-Jireh: The Lord will provide (Gen. 22:13, 14).